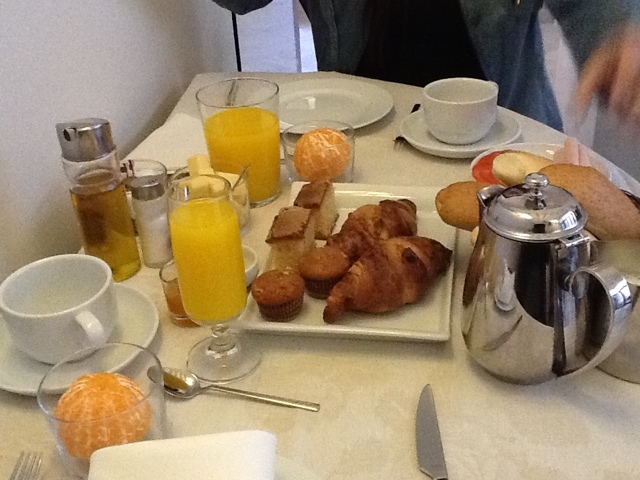 Last breakfast in the beautiful Hotel Amadeus in seville before we take the train for Granada. Seville, a city which welcomes you with a horse carriage appearing around the corner as you get off your cab to walk down the picturesque lane to your hotel. A city that pulls at your heart strings right from the beginning. A city of balance with Moorish architecture and awe inspiring cathedrals that make you reflect on the crazy geopolitics of the previous centuries. A city today where,you have the traditional tapas bars like Las Teresas and new age ones like La Azotea and San Telmo and Pandura coexisting. A city where Starbucks nestles opposite the La Campana, estd 1885, where you get some great hot chocolate. A city where we had some mind blowing food with Shawn, AKA @sevillatapas on twitter, the queen of tapas, guiding us in the city she loves and also taking us to the Flamenco Museum for a front row soaking in of pure passion and raw energy. I was in Sevilla in 1989 last, the two sides of the river, one modern one historic, drinking of Hara de Cerveza on the boat, with bites on the Burgesa, my mouth waters even now.